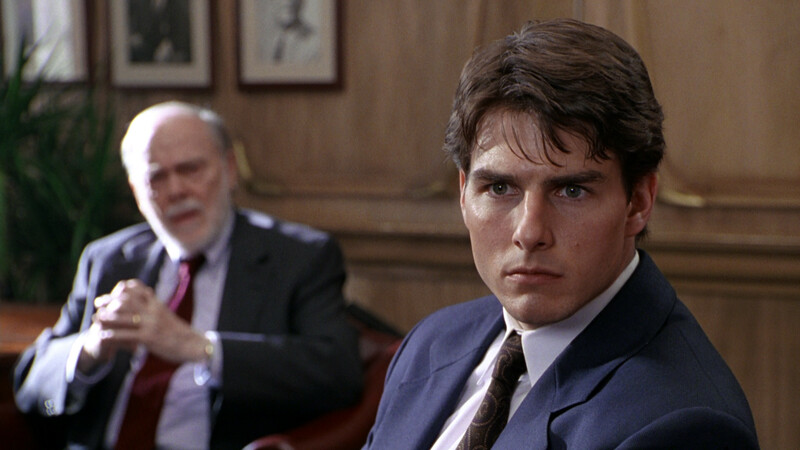 The Firm is a top notch and taut legal thriller showcasing why Tom Cruise was a superstar in the ‘90s with a great supporting cast who fit their roles perfectly, avid readers of the novel will disagree, however. The Blu-ray itself has a nice video transfer and an acceptable audio while failing in the features depart, although it’s no surprise Paramount wouldn’t spring for new features. Note: As of this writing, this Blu-ray release is a Best Buy exclusive but I suspect with the television series coming in the fall Paramount might give it a wider release around that time. 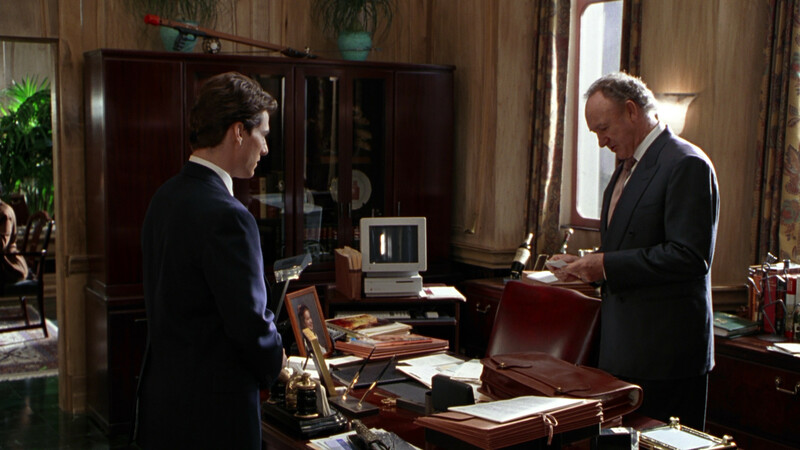 Sydney Pollack’s The Firm made a splash at the box office back in 1993 thanks in large part to Tom Cruise’s growing stardom coming off hits like Top Gun, Rain Man, Days of Thunder and A Few Good Men as it went to gross over $200 million worldwide. However, it seems some fans of the John Grisham novel it’s based upon weren’t too happy. Luckily, I’ve never read the book so I’ve always approached the film at face value and on that front, it’s a damn fine movie, finely intricate yet still highly enthralling and entertaining from beginning to end. Mitch McDeere (TOM CRUISE) is a brilliant and ambitious Harvard Law grad. Driven by a fierce desire to bury his working-class past, Mitch joins a small, prosperous Memphis firm that affords Mitch and his wife (JEANNE TRIPPLEHORN) an affluent lifestyle beyond their wildest dreams. 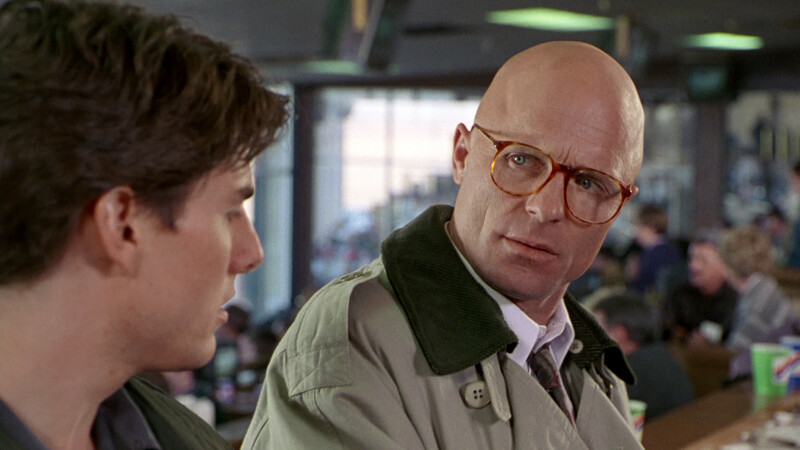 But when FBI agents (one played by ED HARRIS) confront him with evidence of corruption and murder within the firm, Mitch sets out to find the truth in a deadly crossfire between the FBI, the Mob (including PAUL SORVINO in a small role), and a force that will stop at nothing to protect their interests. 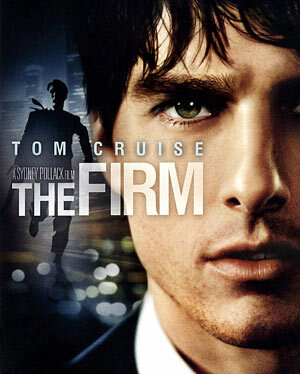 The Firm is one hell of a ride and despite a fairly lengthy running time, 154 minutes, director Sydney Pollack and screenwriters David Rabe (Casualties of War), Robert Towne (Mission Impossible) and David Rayfiel (Sabrina remake) all do a fantastic job of keeping the suspense going and utilizing every minute to the point where I struggle to think how the film could be cut down by even 10-minutes. The film’s success, of course, resides with Tom Cruise who was only on the rise at this point and here he shows so much charisma that you want to follow and care about his character until the conclusion, an aspect that is often lost in modern cinema where loud explosions (which have their place in some genres) take precedence over character development and an overall story arc. For his part, Cruise fits the part perfectly taking the idealistic law graduate to somebody who sees the realities of his situation without compromising his oath. At the same time, the supporting cast shouldn’t be overlooked. Obviously we know what kind of an actor Gene Hackman was (using that tense since he seems to be staying retired and out of the limelight) winning Academy Awards for The French Connection and Unforgiven (and another 3 nominations) plus some fantastic performances including Francis Ford Coppola’s The Conversation. Jeanne Tripplehorn, Holly Hunter (who received an Academy Award nomination for her role), Ed Harris and David Strathairn all also provide solid performances providing weight to even a small role (like Strathairn playing the convict brother). 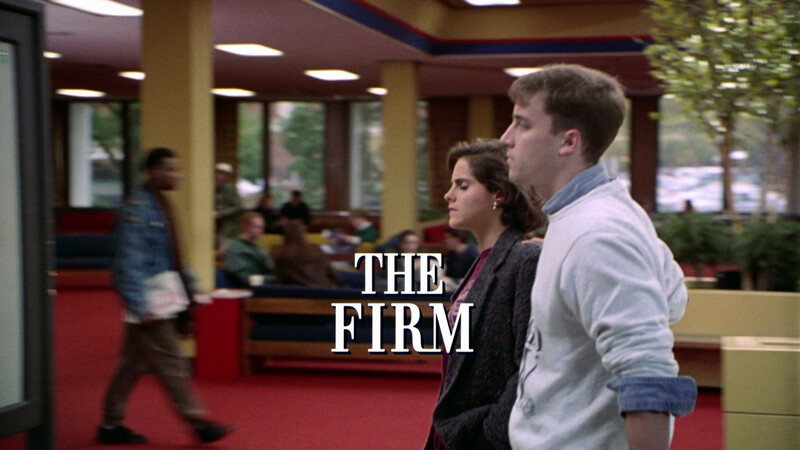 Directed with focus and near perfection by Sydney Pollack, The Firm is a great film that I think only gets better with age. 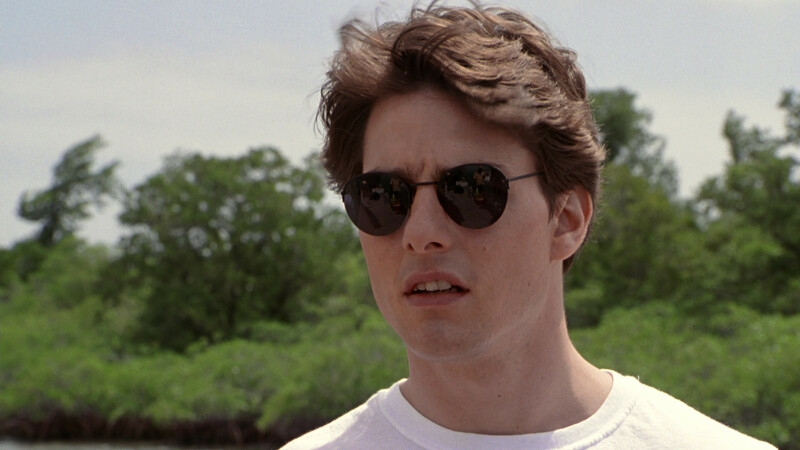 Tom Cruise is at the top of his game during this period and here he provides a flawless performance. The score by 8-time Academy Award nominee Dave Grusin, which has been a point of contention amongst some online, gives a unique spin to the Memphis music scene. All we get is the Theatrical Teaser Trailer (1:43; HD) and the Theatrical Trailer (2:39; HD). The Firm is presented with a 1.78 aspect ratio (original AR was 1.85) and for the first time in 1080p high-definition. Outside of the occasional dust or scratch marks, especially during the opening sequence which might’ve been shot second unit, the video transfer looks quite good given the age. By no stretch is it perfect as I doubt Paramount put a whole lot of money into restoration but there is a nominal amount of natural grain and noise lending to a well detail picture. Colors also look good from the darker motifs of the firm’s offices to the aqua blues during the Caribbean scenes, never going overboard or understated for that matter. The DTS-HD Master Audio track is decent though not anything special. The dialogue levels are good where everything is easy to understand but still the other elements didn’t have much of an impact. But to be fair, there isn’t a whole lot of action sequences save for one chase scene early in the third act and even then it’s pretty low key. I’d say in comparison with the Dolby Digital 5.1 offered on the DVD, it’s probably comparable but the Blu-ray gets a slight edge. Overall, The Firm is a top notch and taut legal thriller showcasing why Tom Cruise was a superstar in the ‘90s with a great supporting cast who fit their roles perfectly, avid readers of the novel will disagree, however. The Blu-ray itself has a nice video transfer and an acceptable audio while failing in the features depart, although it’s no surprise Paramount wouldn’t spring for new features.